Hey Moonies – it’s been a rough month for me (especially the last two weeks) and I’m personally apologizing for the lack of updates. I had to deal with a really bad car accident involving my family among other stresses. Things are starting to get better with that so I will be returning to update you all soon with what has been happening with Sailor Moon. I want to take this time to personally thank all of my friends and fans who have been supportive through this hard time – it really means a lot! I will have a few videos posted very soon of some TV appearances the VAs have done recently, so you can all look forward to that as well as a big summer exclusive! Until I get caught up though, we have a couple things to share with you all! 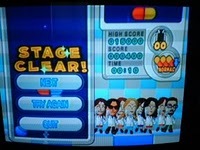 Firstly, our awesome site programmer and commercials editor, The Me, is having lots of fun with Dr. Mario Online Rx! This game is a part of Wii Ware, and can be purchased for 1000 points. 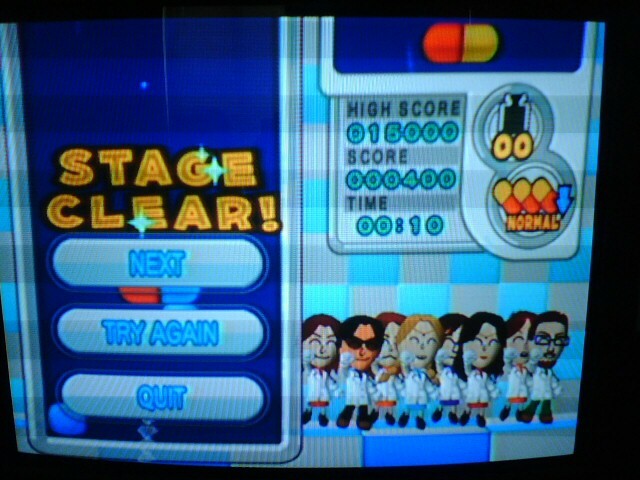 Here we see his Miis dancing after beating the first level in Virus Buster mode. But wait, two of them have Tiaras?! You are not mistaken, those are Miis fashioned after Sailor Moon and Sailor Mars! To the left of Sailor Moon is everyone’s favorite tuxedoed hero, Mamoru, who is sporting the latest fashion in maskwear. Here’s a closeup of them! Secondly: earlier we told you of some major convention news involving Mitsuishi Kotono, Keiko Han, Akira Kamiya, and Yasuo Yamaguchi appearing at Animazement 2008! Genvid has posted a video of a live dubbing of Sailor Moon which can be seen here, and A Fan’s View also covered the event. If any of our readers were lucky enough to attend the panel, we would love to hear your stories!